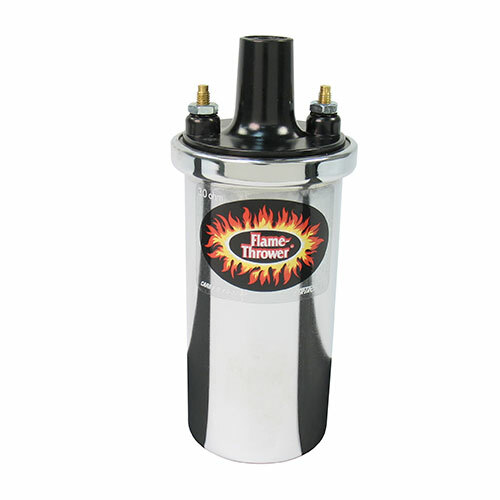 While it's the perfect coil to go w ith the PerTronix Ignitor breakerless ignition, our 40,000 volt Flame-Thrower canister coil can benefit virtually any distributor type inductive system. Its higher voltage allows larger spark plug gaps for added power, smoother response and better fuel economy. These coils are internally resisted so they are compatible with many ignition systems. 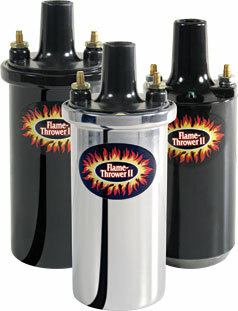 systems as well as many other high energy ignitions. Low resistance and improved turns ratio help to produce up to 45,000 volts. This higher voltage enables you to run larger spark plug gaps for added power and better fuel economy.